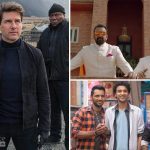 Dominating all the Hindi films present at the Indian box office, Hollywood biggie Mission: Impossible – Fallout is heading smoothly to achieve an impressive height. Released this Friday amid the huge hype of fans, this American action spy thriller opened on an excellent note with super positive response across the country. Directed by Christopher McQuarrie, the sixth installment of popular Hollywood franchise Mission: Impossible has received rave reviews from the critics as well as the audience for its solid plot and jaw-dropping actions & stunts. As a result, it has gained a strong word of mouth and now scoring superbly well at the box office. 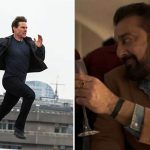 Starring world’s one of the biggest superstars Tom Cruise, Mission: Impossible – Fallout took a solid start and registered the third highest Hollywood opening of the year so far in India. By remaining super-strong throughout, it did the business of 43.76 crores in the weekend with 10.53 crores on Friday, 12.99 crores on Saturday & 20.24 crores on Sunday. Now it is running on weekdays and still has a very good hold over the Indian audience. On Monday, the film faced a drop of 45% than Friday and raked the business of 5.79 crores. Then on Tuesday with a further decline, MI6 minted 5.50 crores and raised 5 days total collection to 55.05 crores nett (70.58 crores gross). 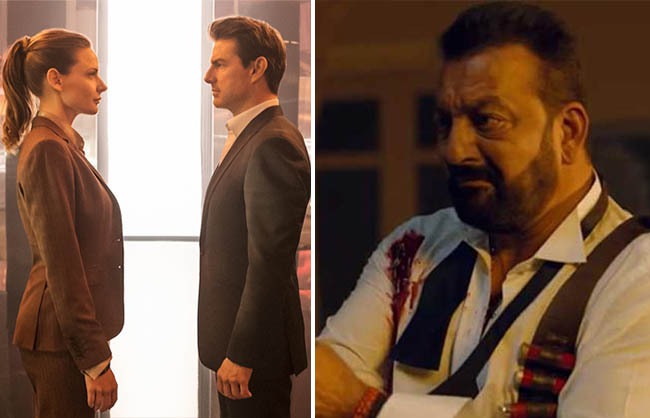 On the other hand, the Hindi film Saheb Biwi Aur Gangster 3 has received mixed reviews from the viewers and got failed to divert enough audience toward itself. In the opening weekend, it did the business of only 4.40 crores that included 1.25 crores of Friday, 1.55 crores of Saturday & 1.60 crores of Sunday. On weekdays, as usual, Tigmanshu Dhulia’s directorial witnessed a considerable drop in footfalls due to normal working days and no word of mouth. On Monday, it minted 0.60 crore after a dip of 52% than Friday. Then on Tuesday, SBG3 managed to bag 0.57 crore and raised its 5 days domestic total to 5.57 crores.